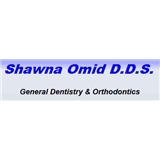 Shawna Omid, D.D.S. (Torrance) - Book Appointment Online! We are proud to provide a state-of-the-art facility for the highest quality dental care available. It is one of our top priorities to protect the well-being of our valued patients. Our office meets and surpasses all OSHA (Occupational Safety and Health Administration) and CDC (Center for Disease Control) standards. We are confident that you will feel right at home in our office as we welcome all patients as if they were family. Our office facilitates communications and emergency calls and appointments are available and welcome, especially for new patients seeking help. We will be more than happy to submit all insurance forms for you and help you recover the most from your benefits. We will do everything we can to help you afford the treatment you need and want. She was very gentle and pleasant. I'll recommend her to anyone. Great dentists are hard to find.